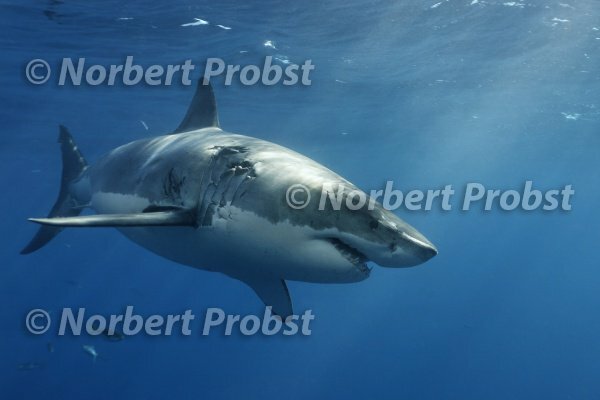 A Great White Shark, Carcharodon carcharis, swims in the Blue. Guadalupe, Island, Mexico. | Ein Weißer Hai, Carcharodon carcharias, schwimmt im Blau. Insel, Guadalupe, Mexico.